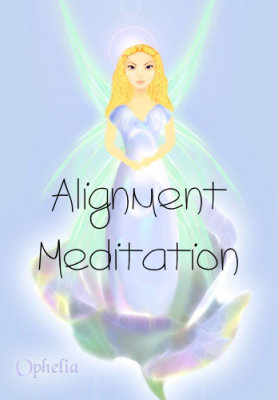 The alignment meditation will align your physical, emotional, mental, and energetic bodies. It will also align you with your Oversoul, HigherSelf, the Universe, and Source. It will ground you into your heart-center and leave you feeling light, soothed, calm, and aligned. You will receive both the original, unedited version and a version that is set to beautiful music!